Set in a medieval fantasy world of swords, shields, and magic, Albion Online is thematically traditional. Its open-world features vast landscapes that range from snowy hilltops to humid jungles, rich with opportunity to acquire new equipment. 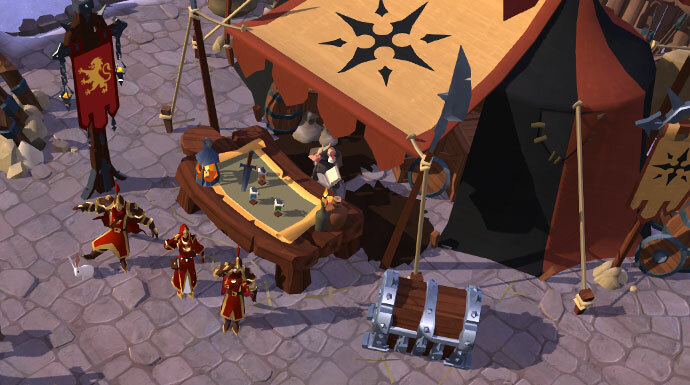 Players can battle against one another, or turn their attention to farmable NPCs. This is one of the first large-scale sandbox MMOs to release in quite some time, and it’s a true sandbox by design, not just by definition. Within minutes you’re let out into the world as if you just entered adulthood, free to progress toward the goal you’re most interested in with low barrier of entry. It is worth pointing out that there are two types of currency, silver and gold. Silver is earned through gameplay. You can grind to your heart’s content in order to earn as much silver as you like. Albion Online Silver is the primary form of money. Players get it by defeating enemies in PvE, looting defeated players in PvP, and trading in the marketplace. Currency is good for anything that involves money, from selling items to bribing or paying enemy clans for safe passage. It does everything gold can’t, but it can’t do what gold can, which is buying cosmetic items and premium status. However, silver is exchangeable for gold through the Gold Exchange. Where the trouble comes into play is how gold is used. Albion Online Gold Currency is the premium currency. Players can purchase it with real money, or by purchasing the Founder Packs even though it can only buy cosmetic items and premium account status. Gold is mainly used for premium account status and to obtain vanity items. The thing is, gold can also be traded with users for silver, which is used to purchase actual items in the game. So while it is nice that players who do not pay for gold can trade their silver for it, allowing an opportunity to earn a premium account without spending real money, the fact that gold can be purchased and traded for the currency that allows you to purchase items in the game, is pretty troubling. The Gold Exchange lets players earn premium status without using real money for gold. In a way, gold is a limited resource. Players can get silver by defeating enemies that respawn after some time, and there isn’t a sink where it will disappear into oblivion. There are no NPCs where you can purchase items. All of the silver circulates the market and player driven economy. As for gold, if nobody buys it with real money, it will run out sooner or later since it gets used for premium status or cosmetic items. The system enables the need to introduce new gold to the market to keep prices stable. It’s a reliable system, giving the developers a steady income, somewhat, which doesn’t rely only on game copy sales. Albion’s economy is entirely player driven; what they do sends ripples across the game’s market. It’s best to keep yourself up to speed with all the events going on, as well as the prices of things that you want to sell. When you couple this information with the fact that all equipment in the game degrades and can be looted from your dead body in PvP, you start to get a fuller picture of how those that pay the most money will not really feel the punishment of losing items. At least not as much as those that grind for them.